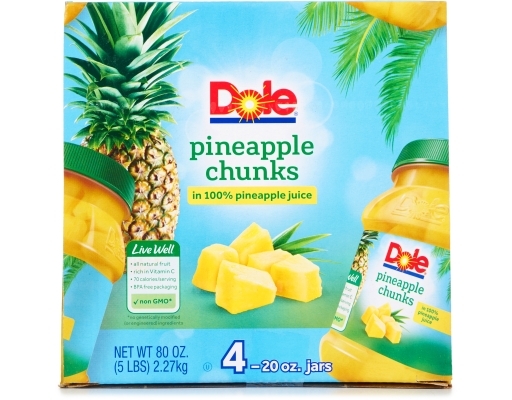 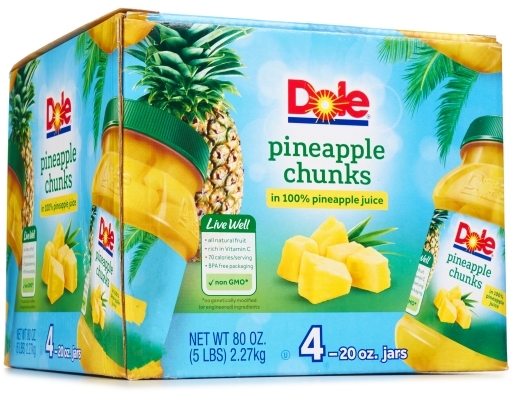 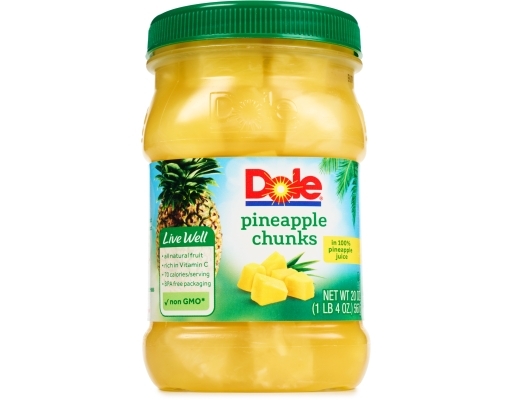 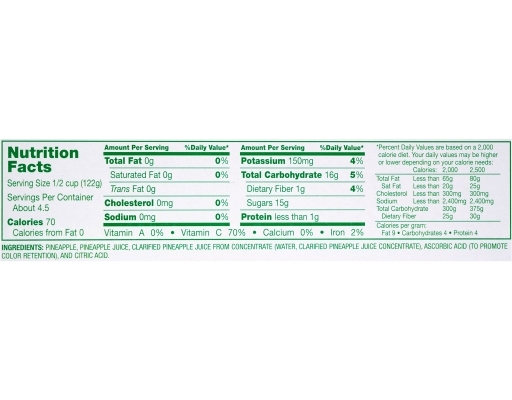 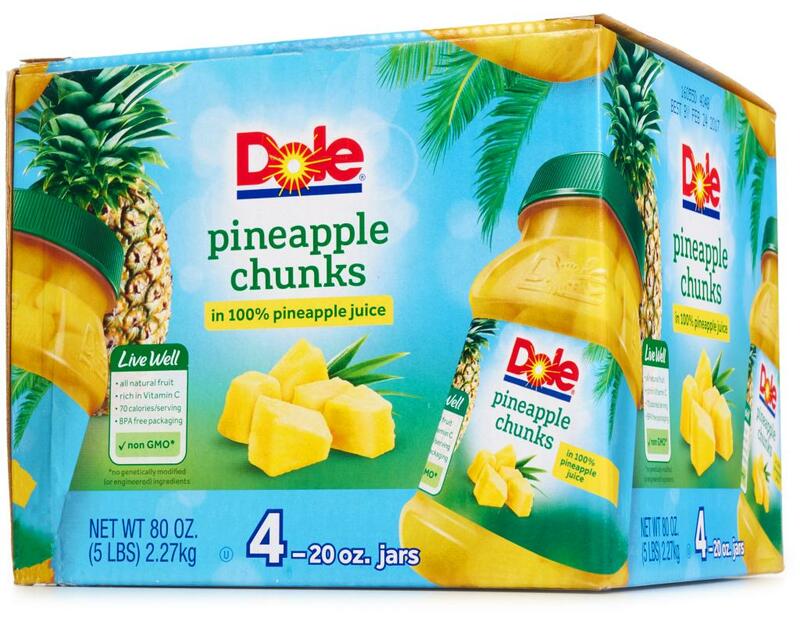 Dole jarred Pineapple Chunks are a convenient, ready-to-eat product. 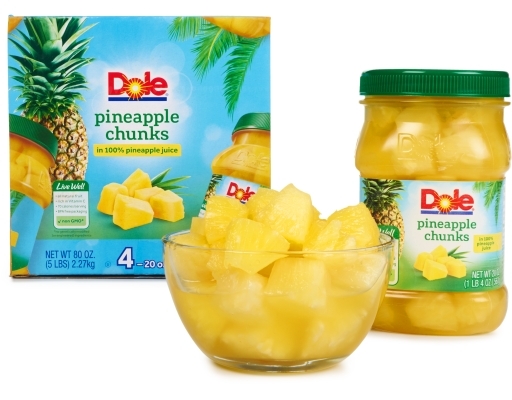 Pineapple Chunks, with their sweet tangy flavor, is a great compliment to all types of dishes including appetizers, main dishes, salads, side dishes, beverages and desserts. Dole Pineapple Chunks are great with chicken or pork stir-fries, rice dishes, fruit or green salads and as topping over desserts.